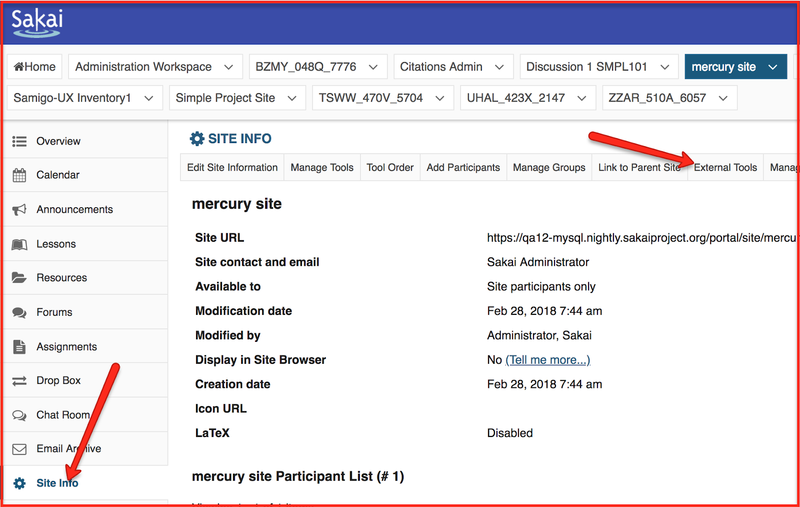 This guide provides instructions for installing our LMS app in an individual Sakai course site. We also have guides for those who wish to use our app in Canvas, Moodle, Blackboard, and D2L. 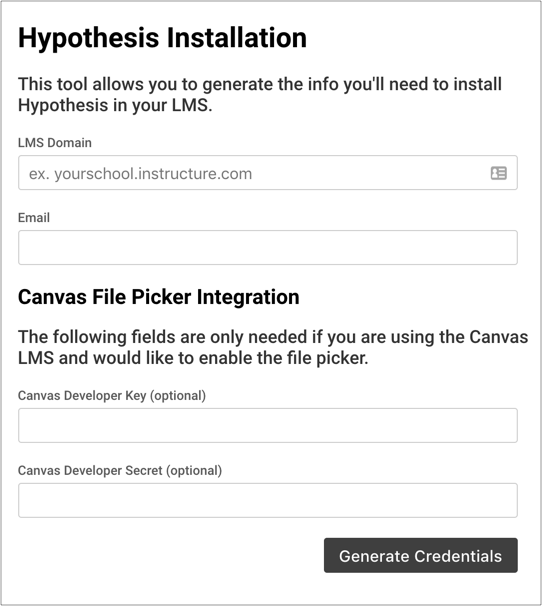 The LMS Domain is the basic web address you use to access your LMS (i.e., yourschool.instructure.com). The Email field can be any valid email address that belongs to you. 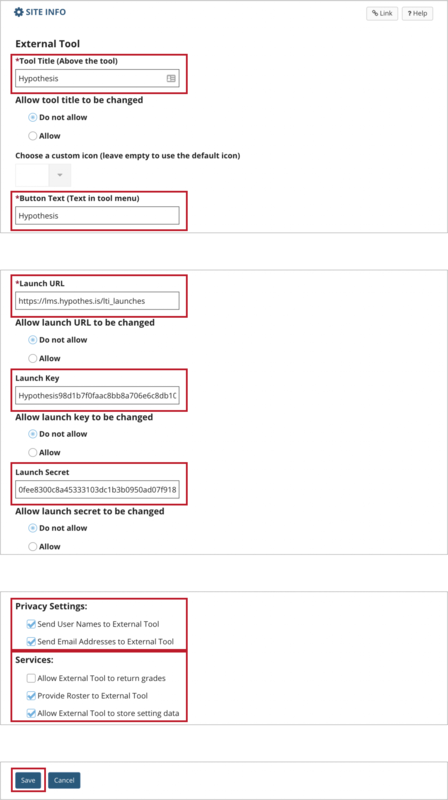 Leave the Canvas Developer Key and Canvas Developer Secret fields blank. Don’t close this tab/window! You will need to copy and paste these credentials later in the install process. You will be using default settings, unless otherwise indicated. 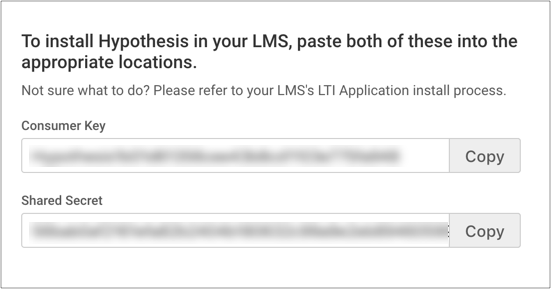 The app needs access to the information granted in Privacy Settings and Services in order to create accounts and groups using the LMS roster. The app will now be successfully installed for your course site. 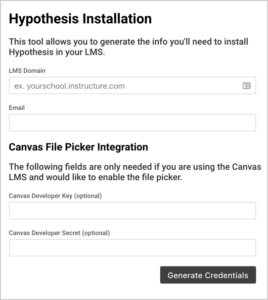 You may wish to consult our help article on Using the Hypothesis LMS App with Lessons in Sakai.